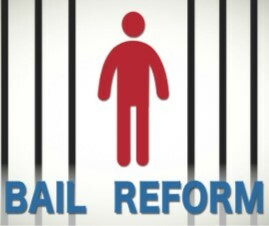 LOS ANGELES – With a state plan to abolish cash bail hanging in limbo until a 2020 voter referendum, the Los Angeles County Board of Supervisors voted Tuesday to increase pre-plea diversion programs and develop and pilot bail reforms. Programs could include expanding pretrial services to improve court appearance rates, including texting court reminders and providing transportation and child care. Another preliminary suggestion was to offer assessments by a mental health expert in arraignment courts. Nearly half of the people in Los Angeles County jails are awaiting trial and most cannot afford the scheduled bail, according to the motion. “Between May 2016 and May 2017, defendants in L.A. County paid approximately $173 million in non-refundable cash to bail bondsmen, and $13.6 million directly to the courts,” according to a report commissioned by California Chief Justice Tani Cantil-Sakauye and cited in the motion. Supervisor Sheila Kuehl, who co-authored the motion but was not at the board meeting, said in a statement that she was aiming for a system that is fair for everyone while preserving public safety. Money bail was set to end statewide in October, but opponents to Senate Bill 10, which was signed into law last summer, forced a referendum onto the November 2020 ballot. While bail bondsmen saw their livelihoods threatened and were seen as the driving force in challenging the law, some criminal justice advocates also opposed it. The American Civil Liberties Union is an advocate for bail reform but opposed the pretrial risk-assessment tools that would be used by judges to decide whether to release or jail defendants awaiting trial. The scoring system uses an algorithm that relies on ZIP codes, housing status and employment data as proxies for risk and opponents said it would penalize low-income and minority defendants and end up leaving too many people behind bars. The ACLU California also objected to the bill’s assumption that individuals charged with a violent felony automatically pose a risk to public safety, regardless of their ultimate guilt or innocence. The bill’s sponsors countered that the vast majority of people would be released from jail within 12-24 hours of their arrest under the new law. Arraignment courts currently rely on a bail schedule that is tied to the maximum sentence a defendant could face if convicted and judges consider an individual’s prior record, earlier missed court appearances, community ties and other factors that affect whether they pose a risk to public safety or are at risk of missing their court date. Absent a separate bail review hearing, the consideration of bail during arraignment typically takes place in a matter of minutes without any formal presentation of evidence. The board directed a working group to report back in 90 days with recommendations on reducing pretrial detention and potential funding sources.